CSE Global secured SGD84.8m infrastructure projects on home ground, bringing the segment’s order intake to SGD150.5m (+43.6% y-o-y) for FY18. The orders included government contracts for the provision of communication, and security solutions that involve surveillance work. Taking into consideration the typical quarterly infrastructure order intake of SGD20-25m, we estimated the large orders to be SGD59-64m, consisting of the maintenance portion that should be recognised over several years. Supposing 70-80% of the orders are project revenue, we estimate that project component to be recognised over the next few years should about SGD43- 49m. 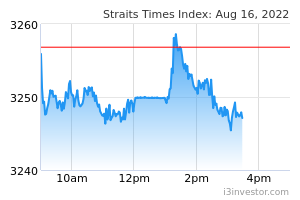 Maintain BUY and DCF-backed TP of SGD0.59, 40% upside, plus 7% yield. 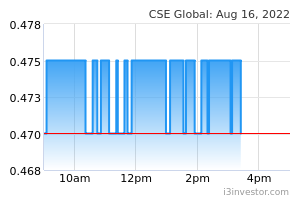 CSE GLOBAL LTD (SGX:544) is currently pursuing a few more projects in the infrastructure space. Recent contract wins are testament to its capabilities of providing mission-critical solutions. We are optimistic that it will be able to continue its winning streak. We understand that CSE Global is currently working with target companies, and remain hopeful that the acquisitions will be finalised in 1H19. On 10 Jan 2019, it announced the acquisition of Blackstar Services for USD2.375m. This acquisition should boost product offering for the oil & gas segment. Net cash of SGD 34.4m as at end-Sep 2018 should support its dividend payout, and the execution of its expansion plan. We believe that short-term volatility in the oil prices would not affect CSE Global’s oil & gas segment, as business flow remains stable. However, we do not foresee major greenfield projects coming on-stream anytime soon. Despite the lack of mega projects, we still see growth in the area of smaller brownfield and greenfield projects. We keep our forecasts unchanged, as large greenfield projects (SGD42m) secured in 2017 are near completion, and new contracts secured (c.SGD59- 64m) would likely offset the absence of revenue from the oil & gas segment as earlier forecasted. Overall, we expect 4Q18 and FY18 results to be in line with our forecasts, and do not expect any negative surprises.